How To Get Paid Quickly For Your Damage Car In Sydney? If your car is damaged beyond financially viable repair it might be time to get rid of it. A car removal company will pay you for it and get it out of your sight before you know it. Metro Car Removal offers towing free of charge and can get to you within a matter of hours in Sydney. 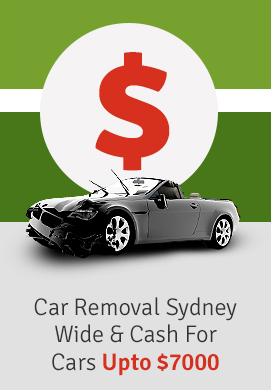 Here’s how to get paid quickly for your damaged car in Sydney. Get onto it straightaway and contact your local car removal company. All it takes is a simple web search to gain access to the contact information of thousands of car removal specialists. Refine your search by entering your location as one of the search terms. The majority of companies will be able to provide you cash on the spot so don’t delay and get it off your driveway. Reduce the hassle and stress of dealing with your damaged car by dealing with a reputable car disposal company. You understandably want to earn money from your car, however, the information you provide must be honest and accurate. Your quote is devised from the details you give and in order for this to be a true estimate the information must be correct. The vehicle will be checked so be as honest about it as you can. If you have left out any details they won’t want to pay up which delays the process. Car removal companies aren’t put off by damaged cars as they will profit from any car no matter what the condition. Gather the information about your car before ringing up or filling out their online contact form. It can be a major hassle sorting out your damaged car so let a car removal company do the hard work for you. Whilst they take care of everything there are a few things you can do to make it as quick and easy as possible. Have your paperwork including proof of identity and Title of Ownership handy. The more organised you are, the easier the exchange will be. You can also get ready by double checking you have moved all your valuables out of the car. Also place the car in an easily accessible spot and you’re ready for the car removal company to take on the responsibility of transporting and wrecking your car. To get paid quickly for your damaged car, don’t delay in locating a car removal service. Provide accurate and honest information and have the vehicle ready to be towed. Don’t hinder the procedure and be ready for the transaction to take place. For a professional company in Sydney contact Metro Car Removal.